One of the UK's biggest names in Comedy!! As seen on The Last Leg, Josh, QI, Have I Got News For You, Mock the Week and Live at the Apollo. This is an act that regularly sells out massive theatres. To see him with Outside the Box Comedy Club is a rare treat and not to be missed! 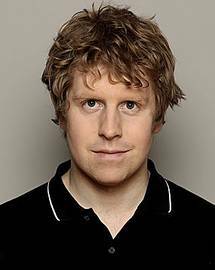 When can I see Josh Widdicombe?